Our Fancy White Lump Crab Meat does not contain any MSG or sulfites. This high-quality crab meat is packed in water. No bleaching agents or preservatives are used in the rinsing, washing or canning process. One serving of this fat-free food provides 17% of the daily needed protein. This product is very versatile and can be used in your favorite dips, souffles, salads and crab cakes. 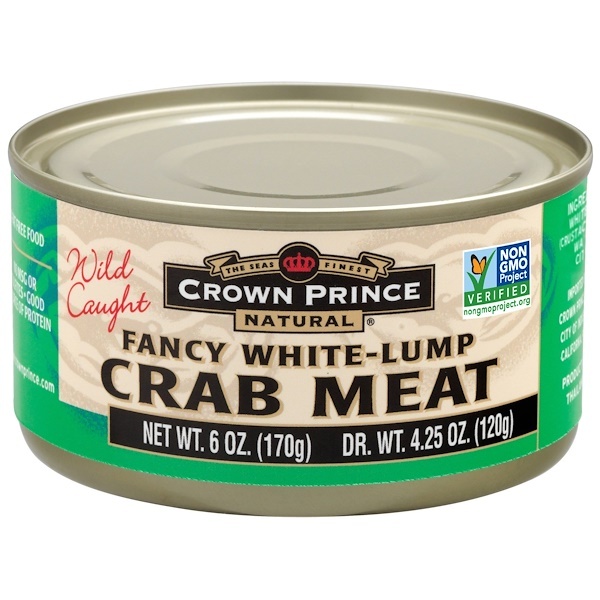 Lump white crab meat (crust shellfish), water, salt, citric acid. 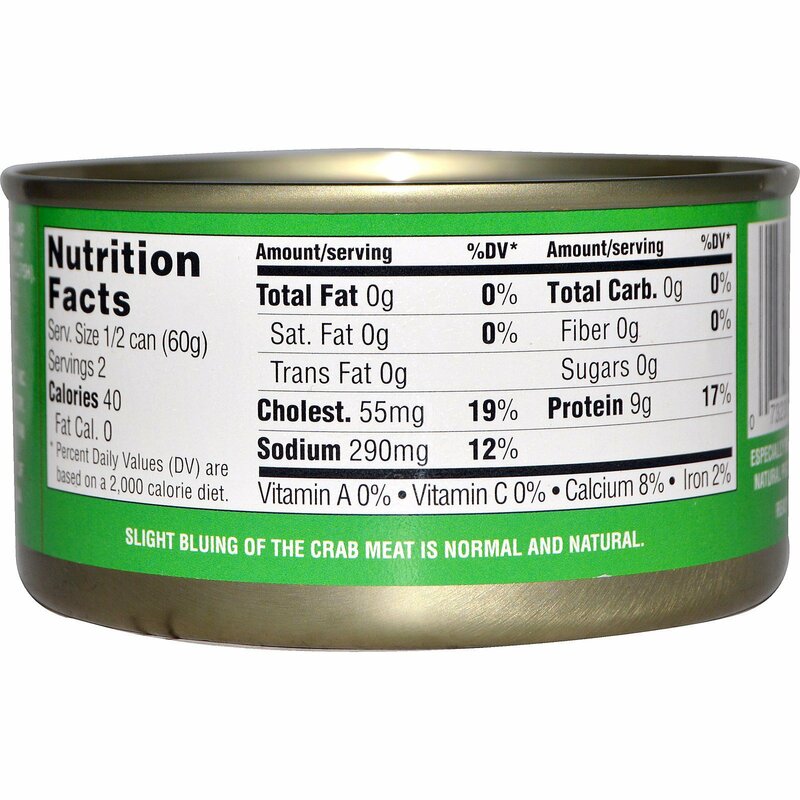 Slight bluing of the crab meat is normal and natural.